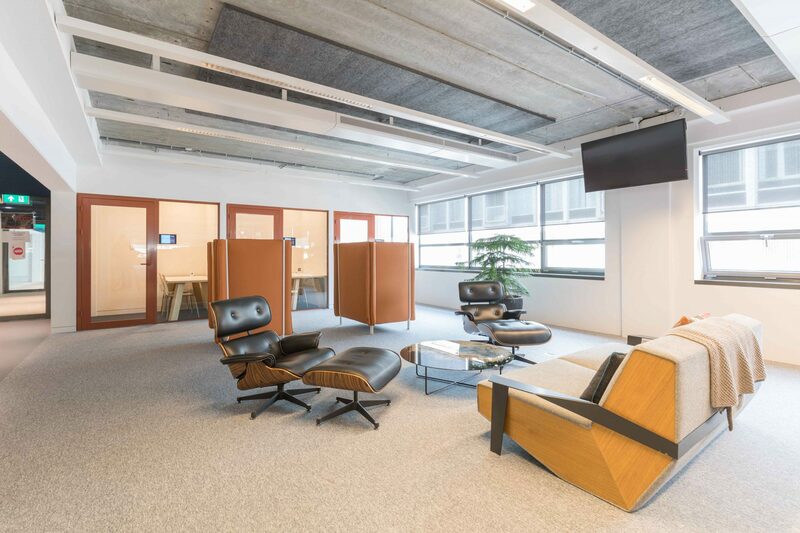 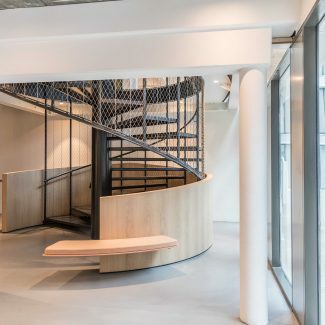 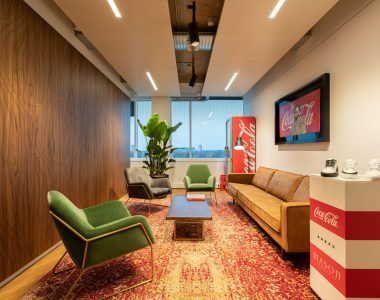 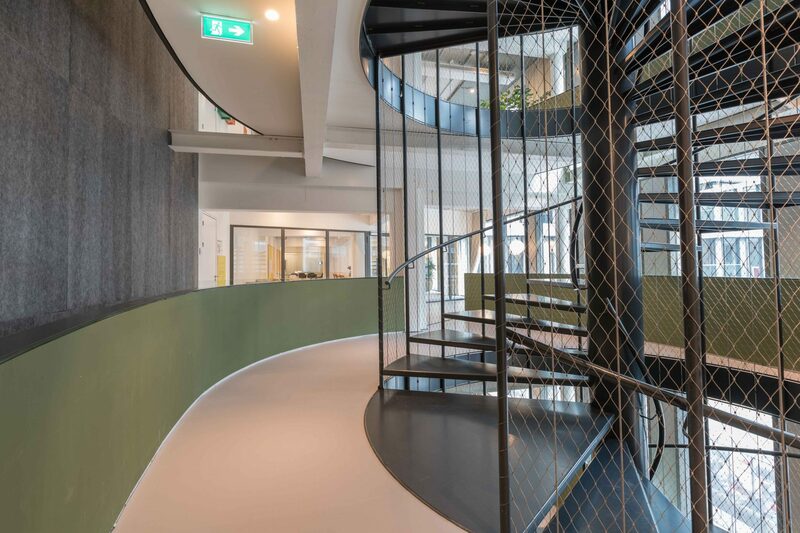 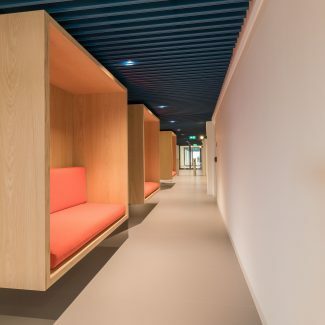 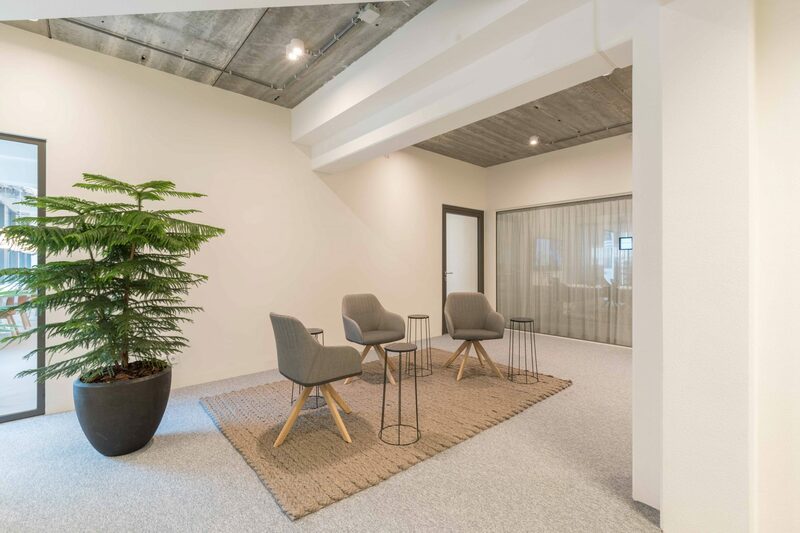 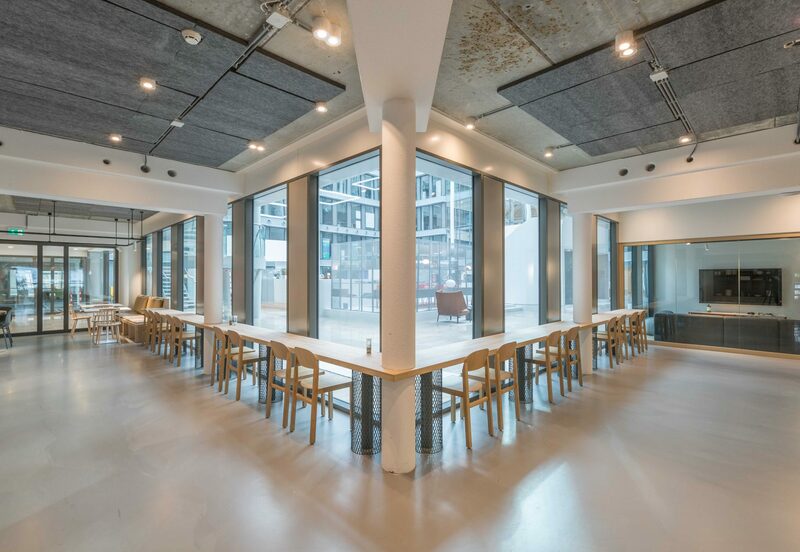 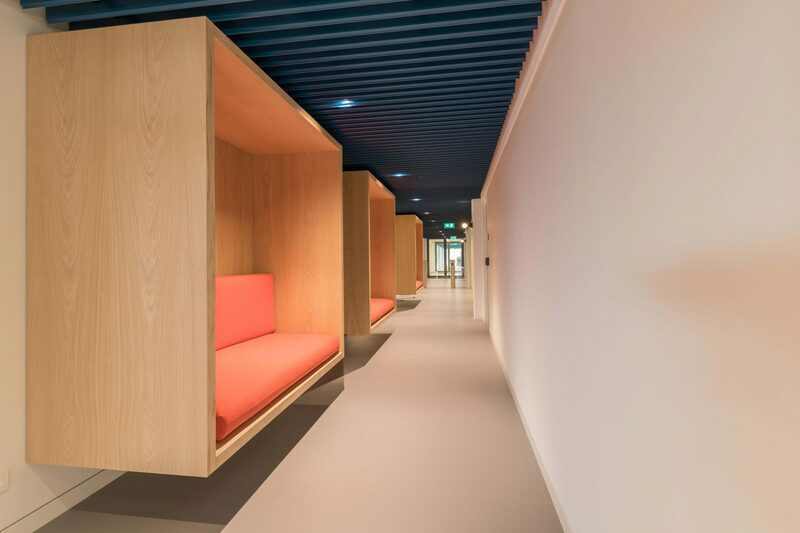 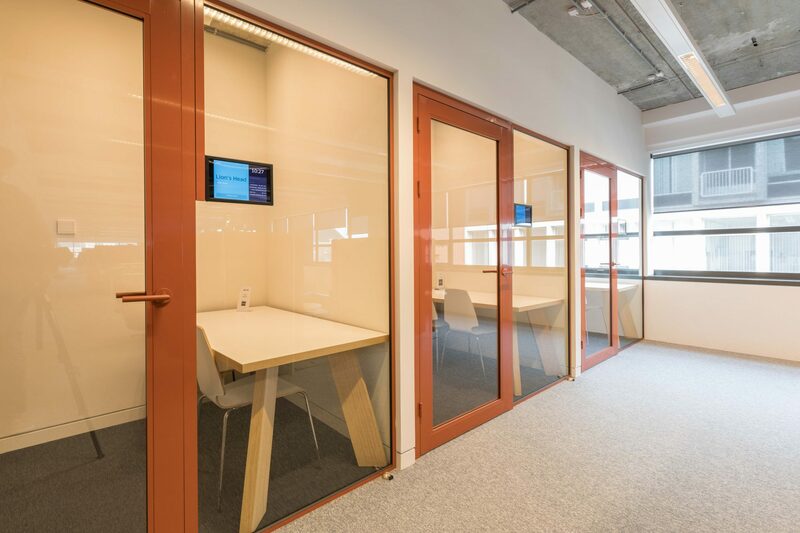 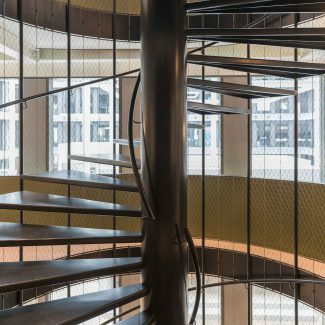 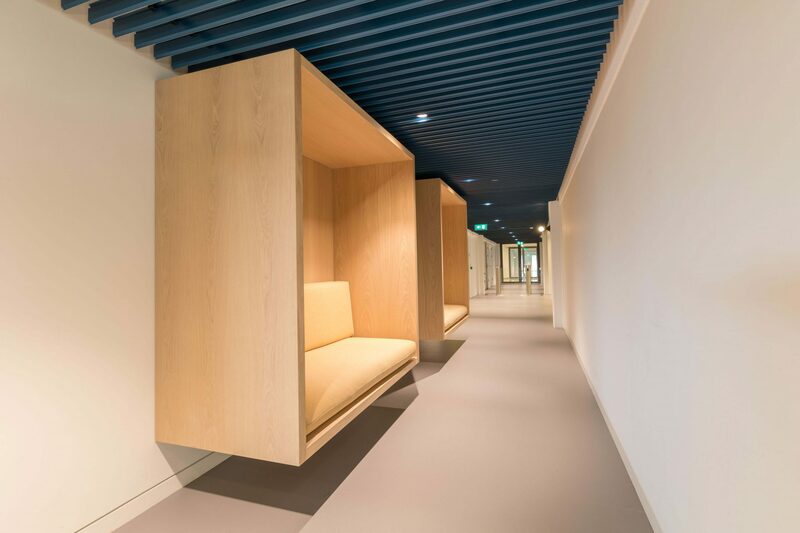 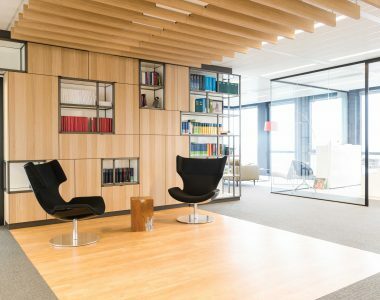 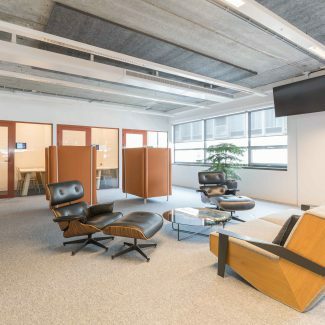 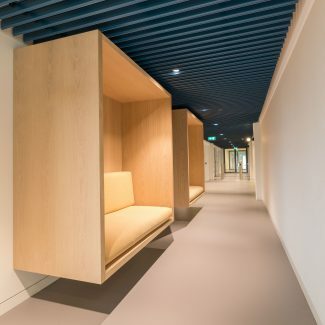 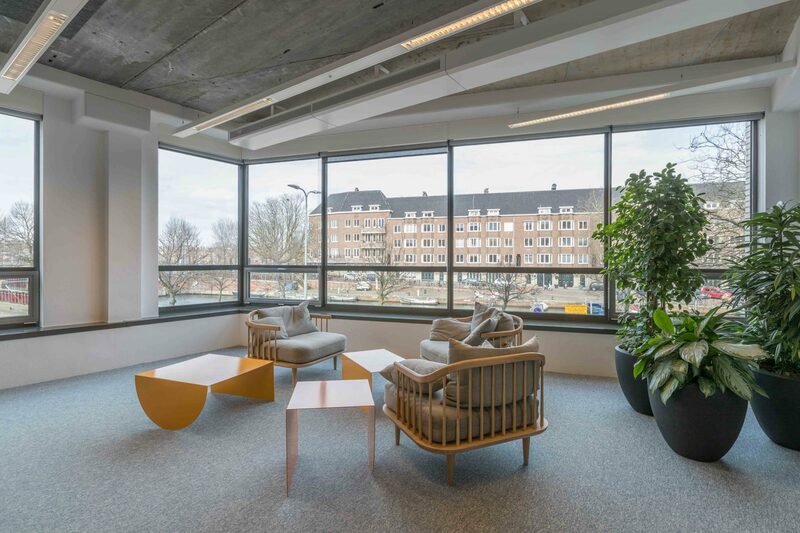 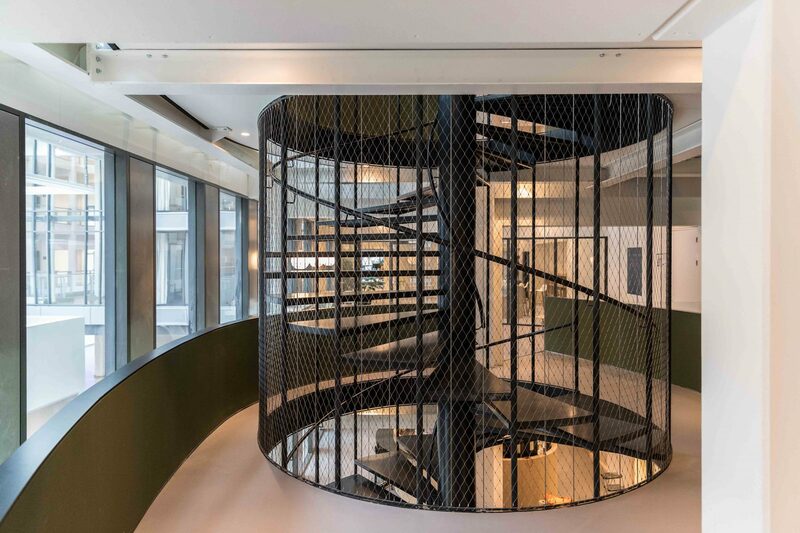 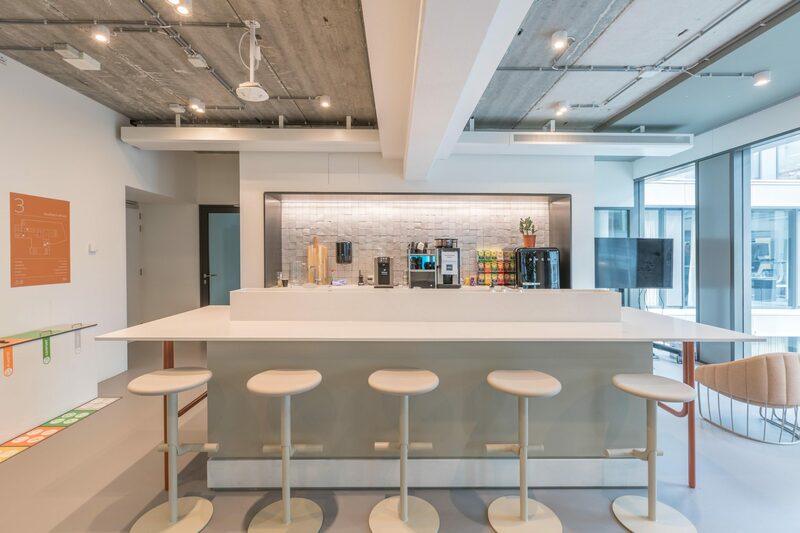 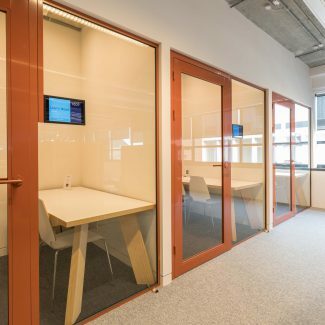 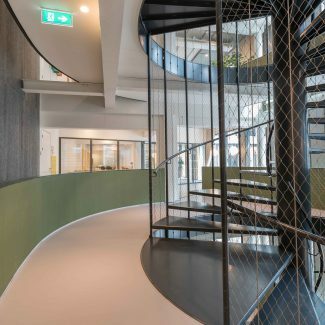 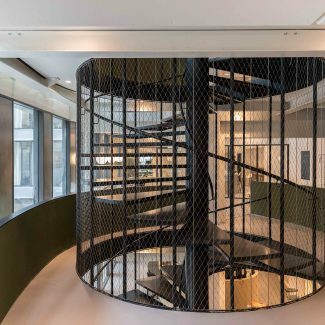 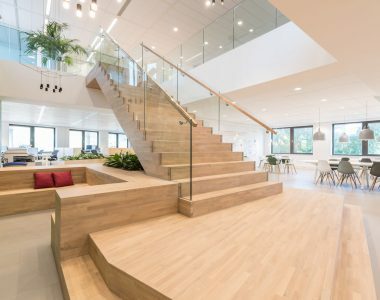 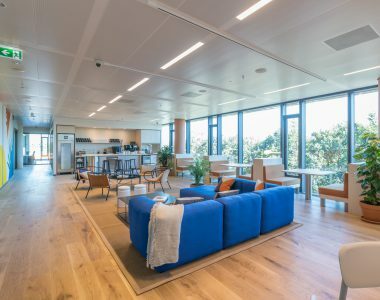 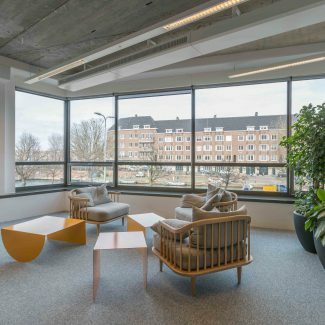 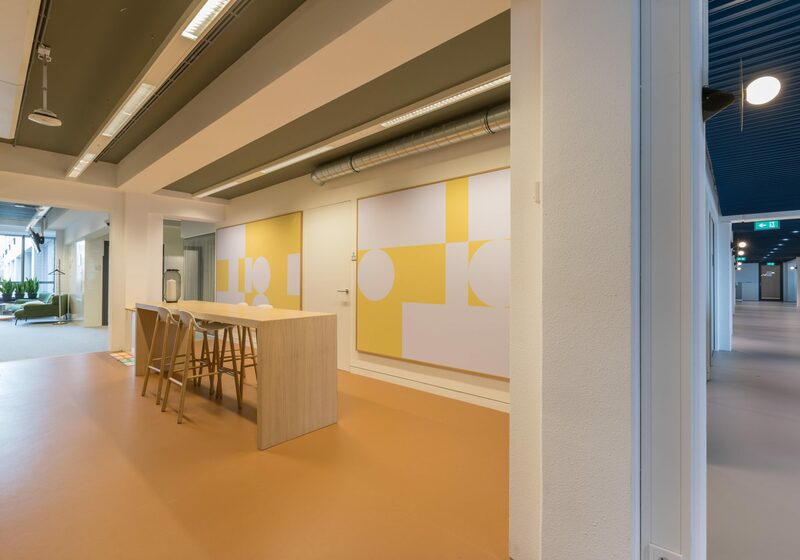 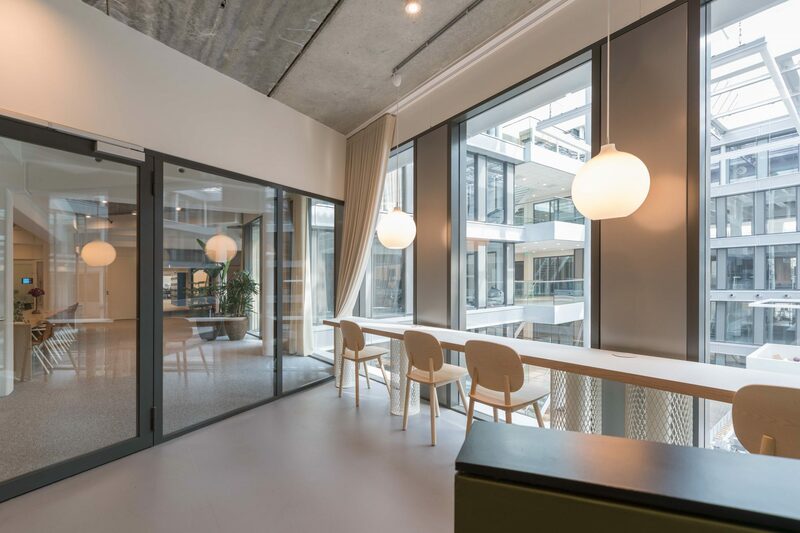 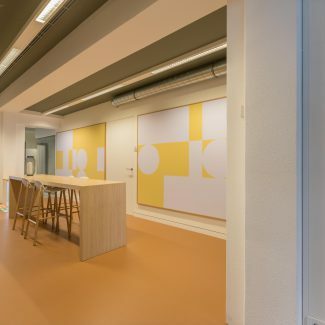 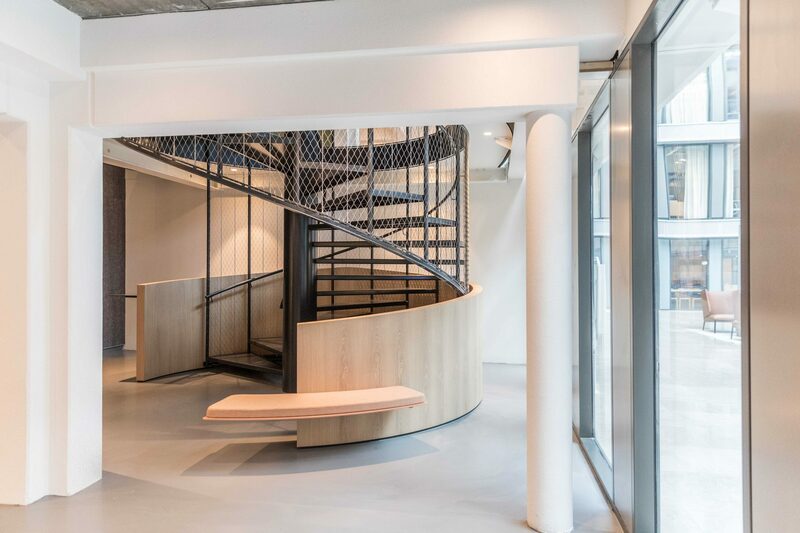 We took care of the complete realization of the new office of an international technology company in Amsterdam. 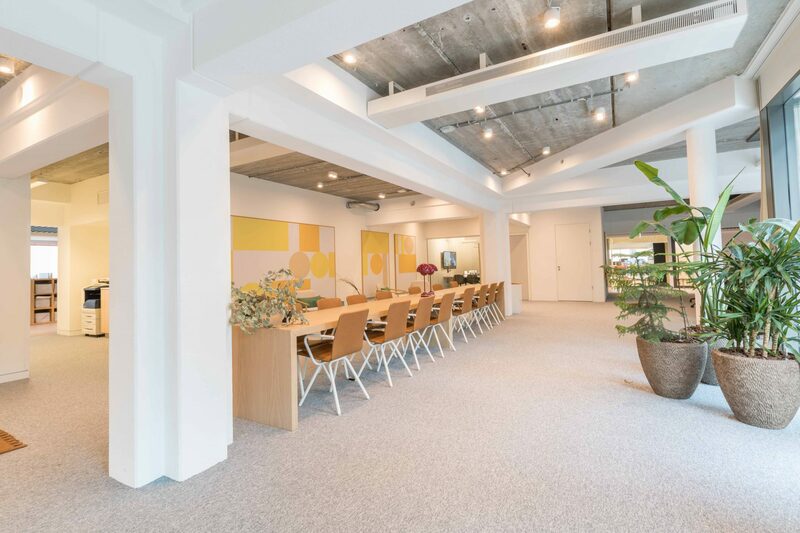 The office is 8400 sq. 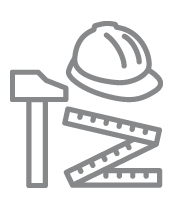 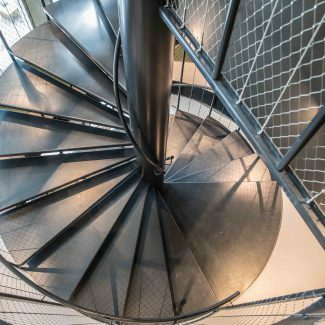 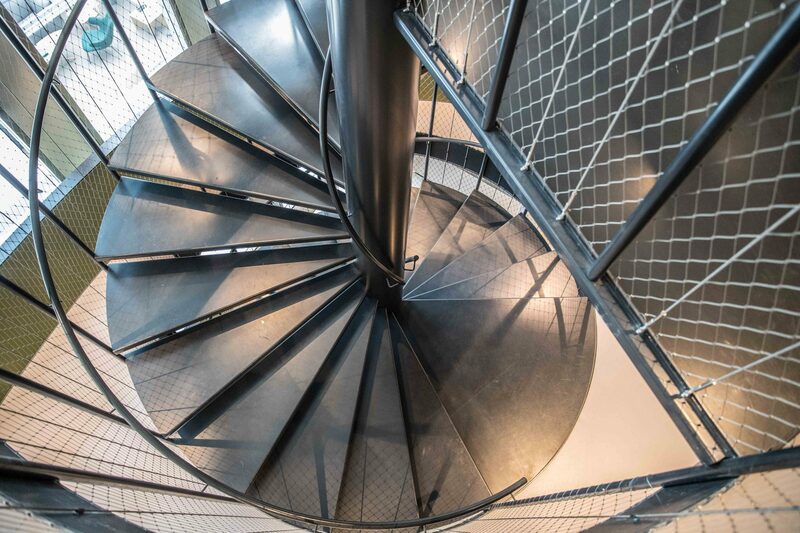 m and came with a big challenge which was placing an new internal spiral staircase. 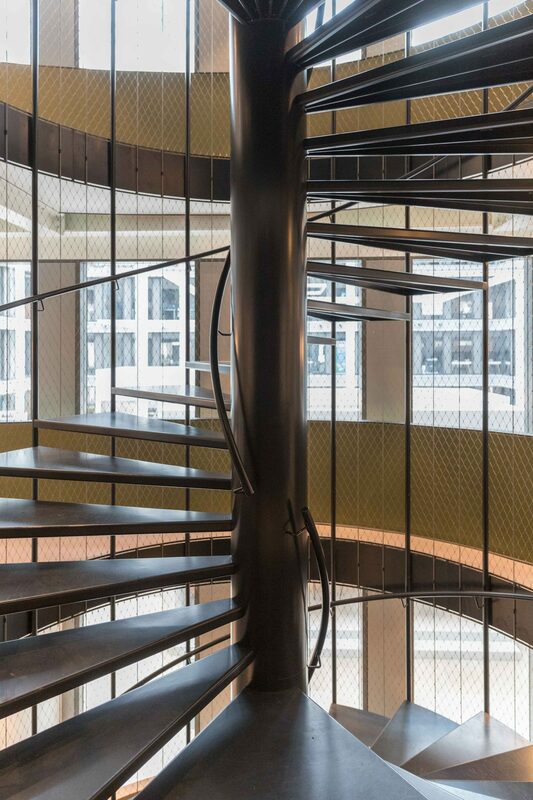 Tétris has fully implemented the installation of the staircase. 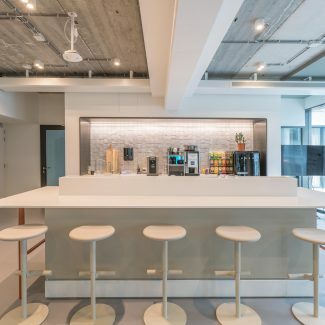 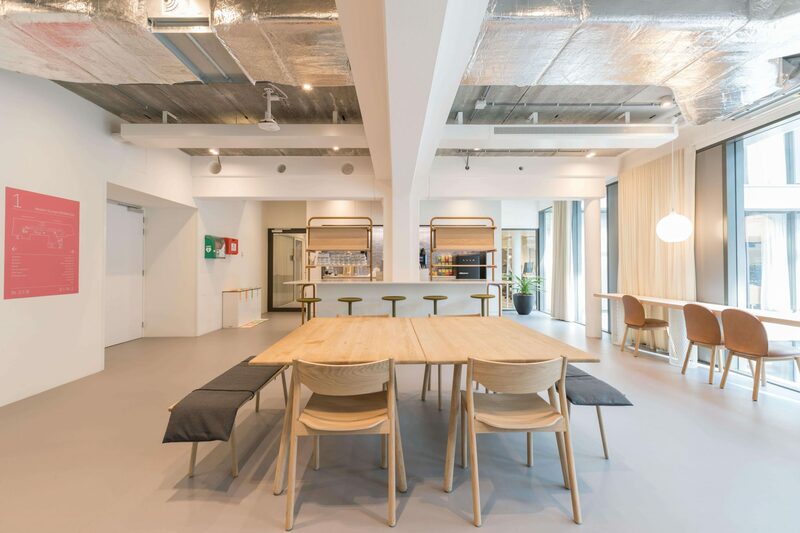 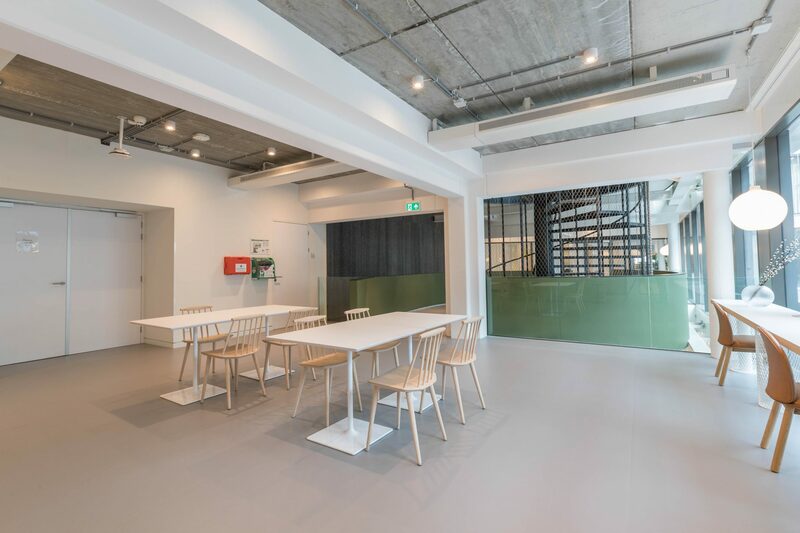 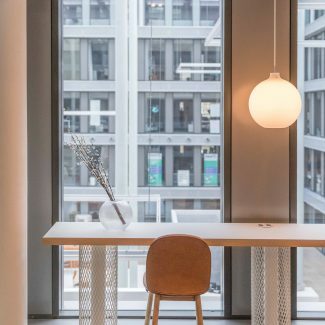 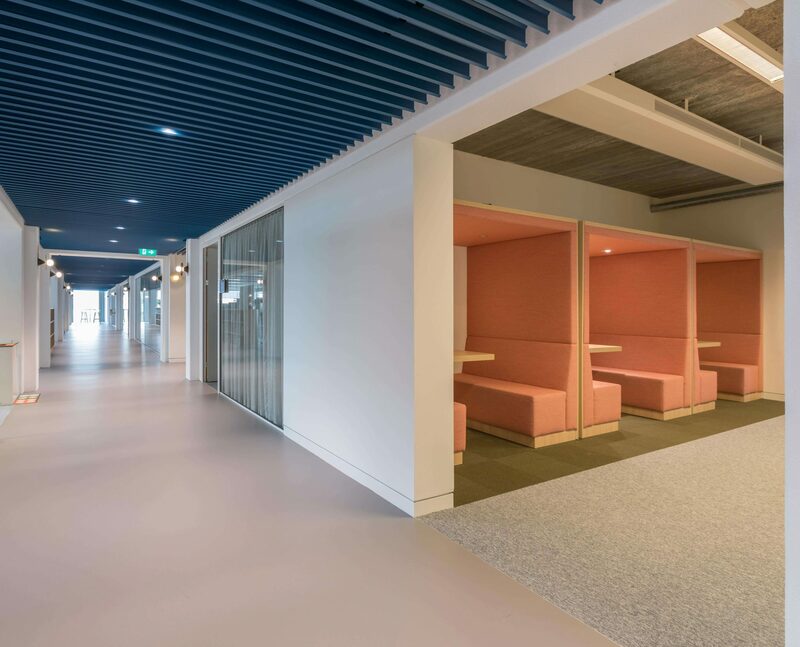 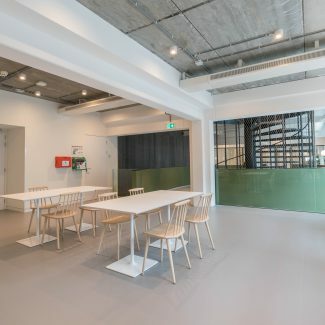 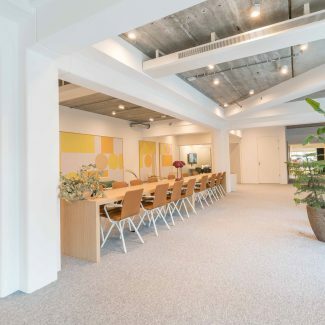 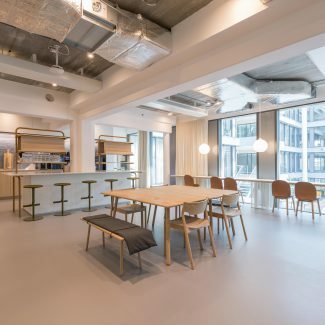 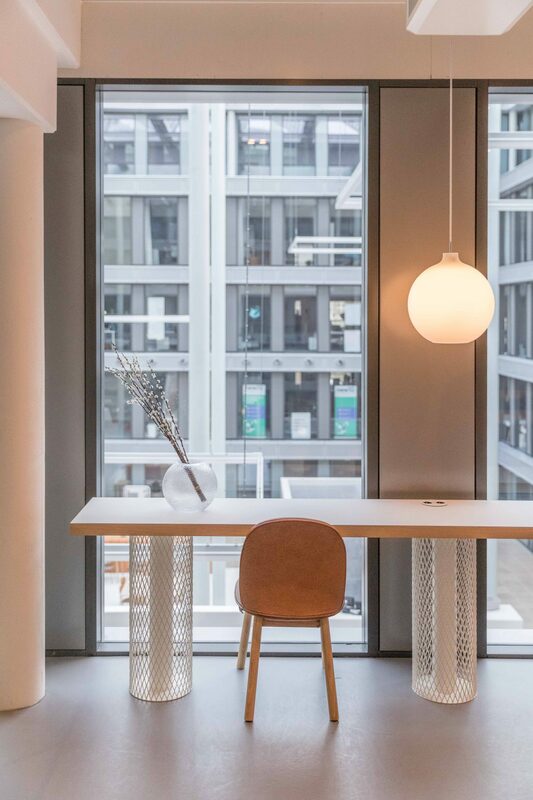 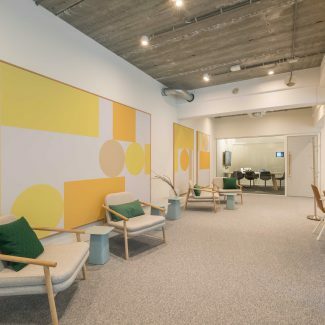 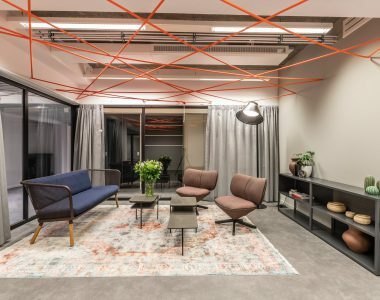 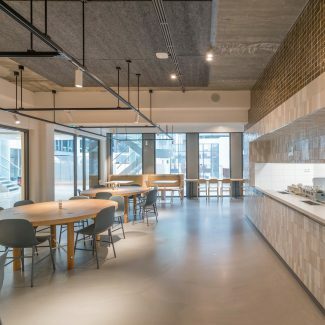 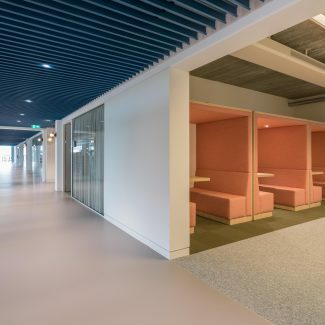 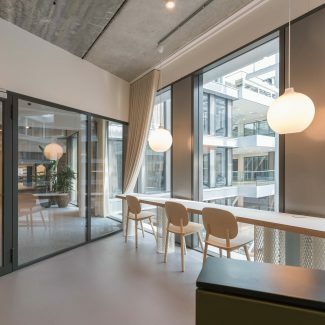 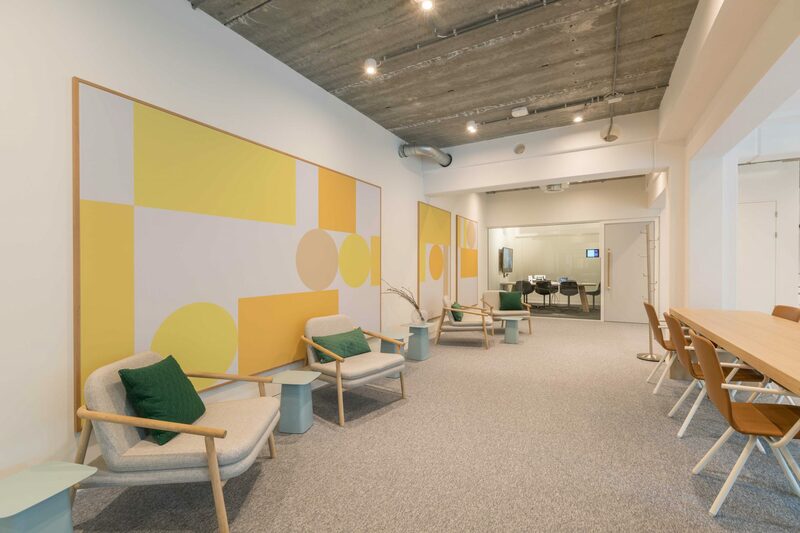 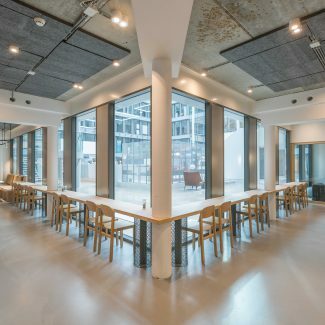 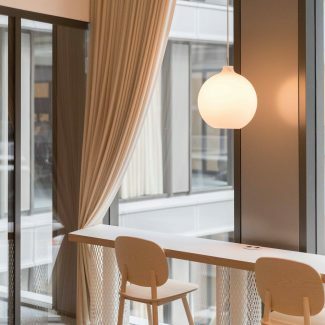 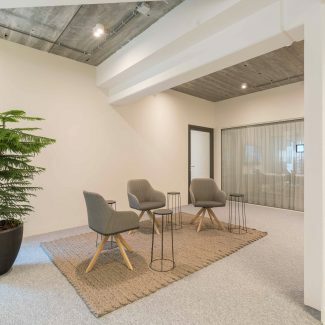 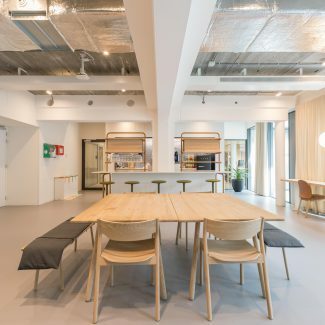 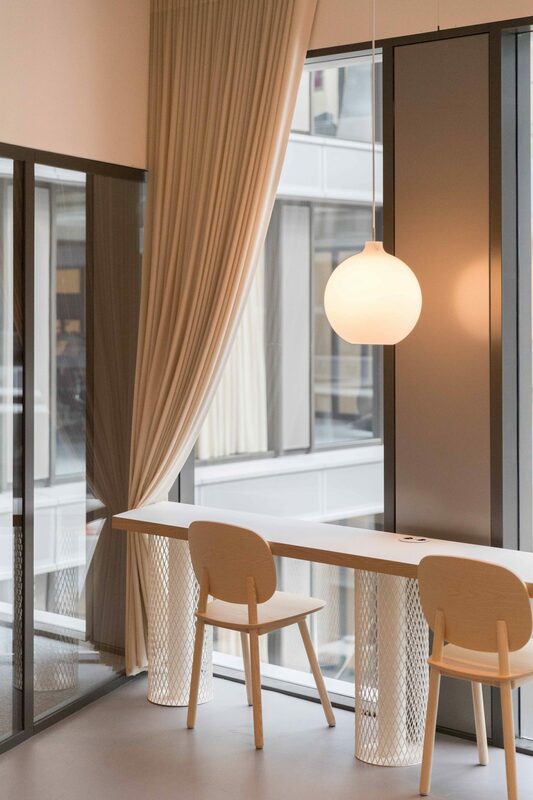 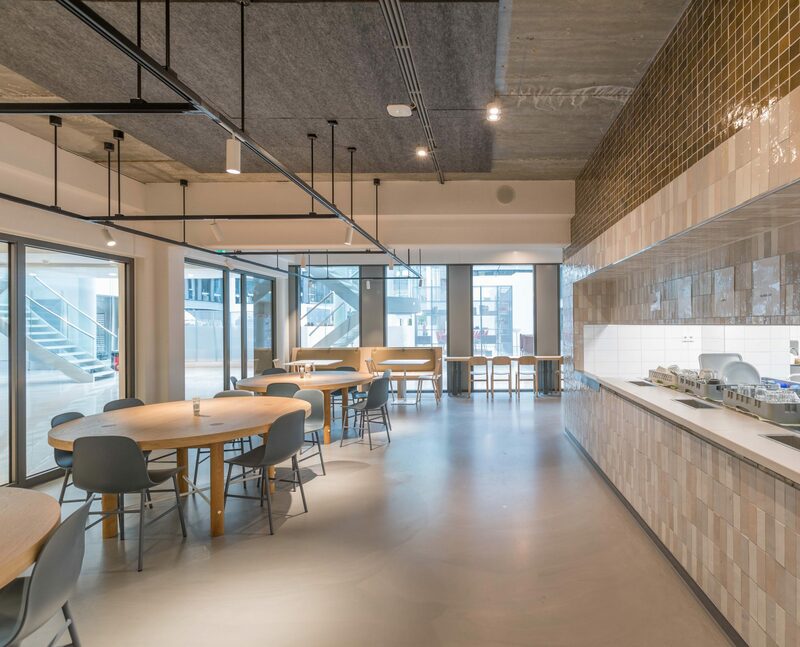 The office has a fresh look with a concrete floor and soft pastel fabrics used for the furniture. 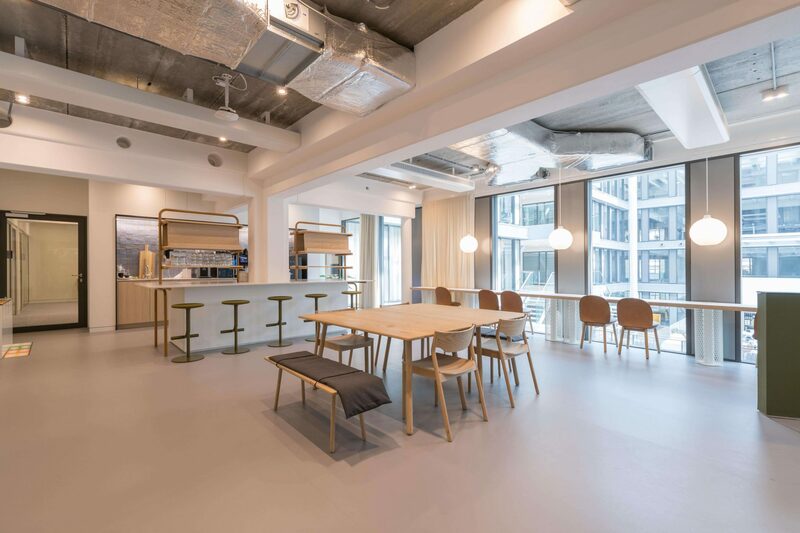 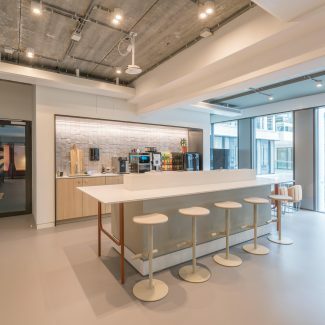 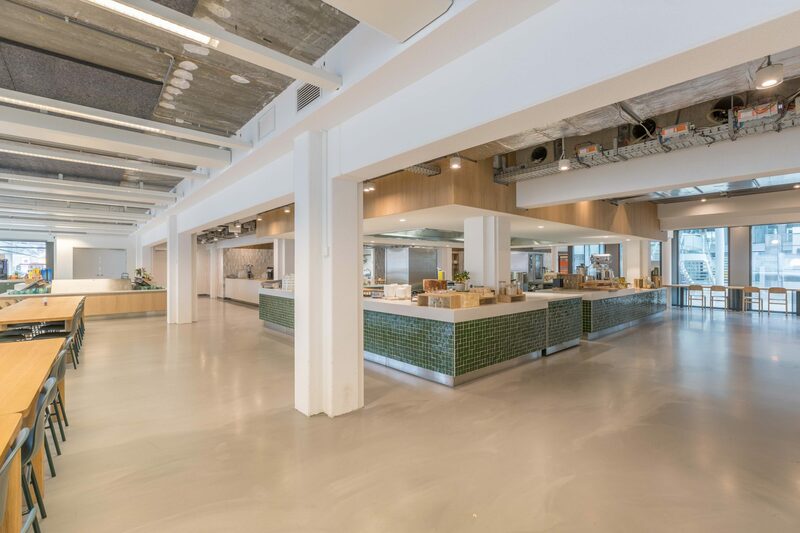 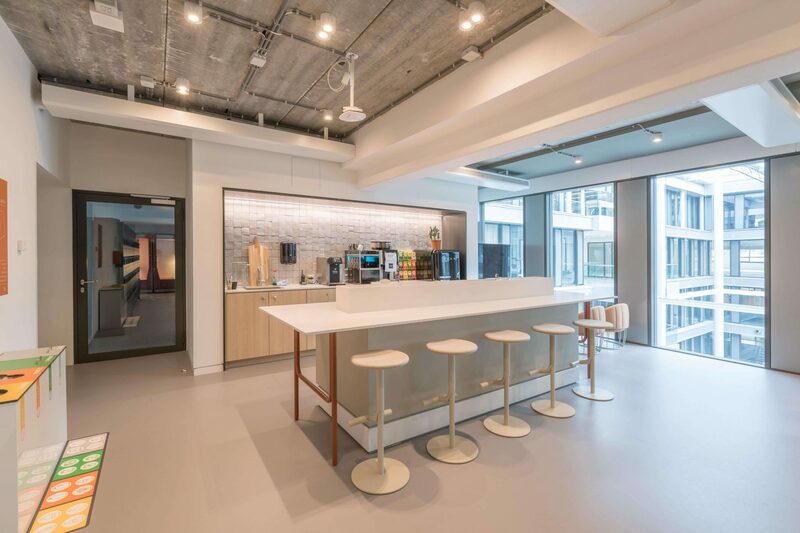 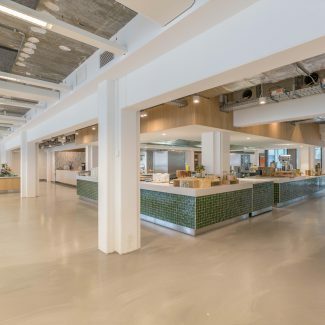 Each floor has a pantry and plenty of seats for chatting or working quietly. 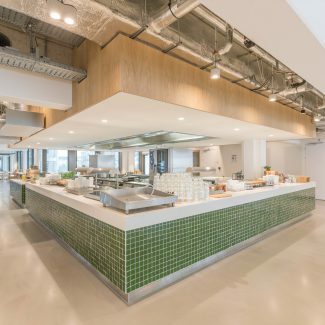 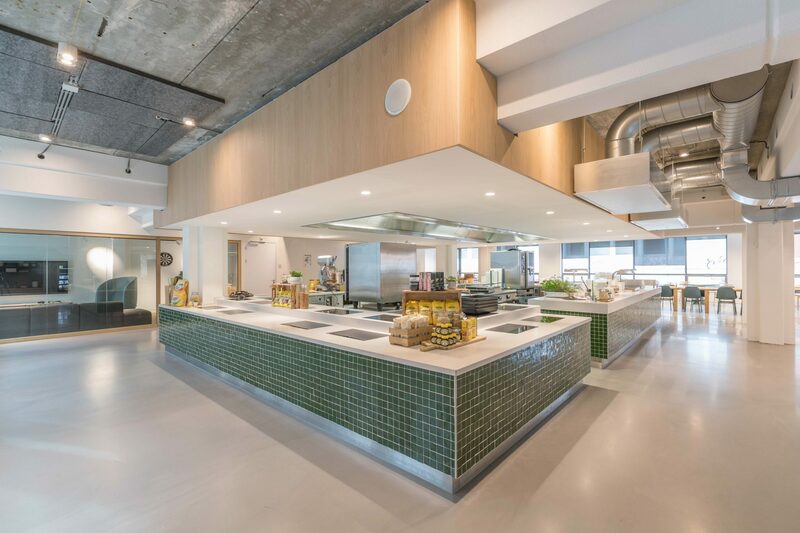 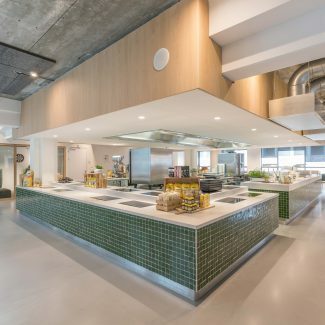 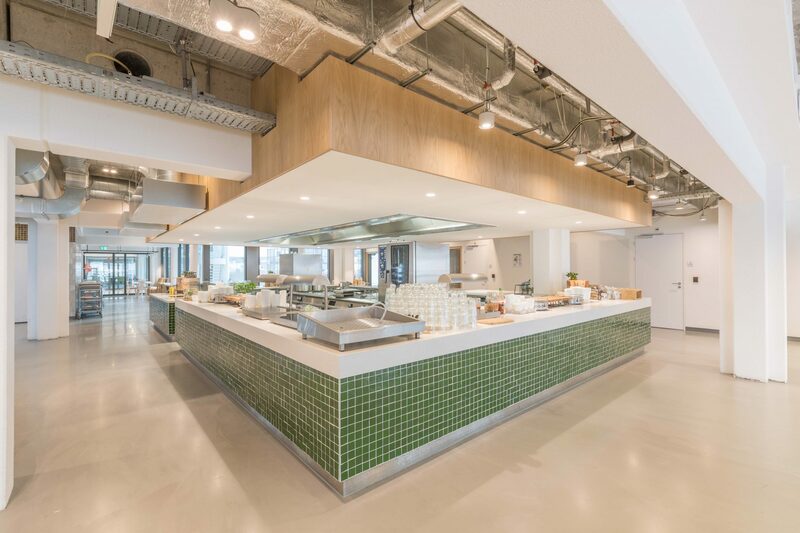 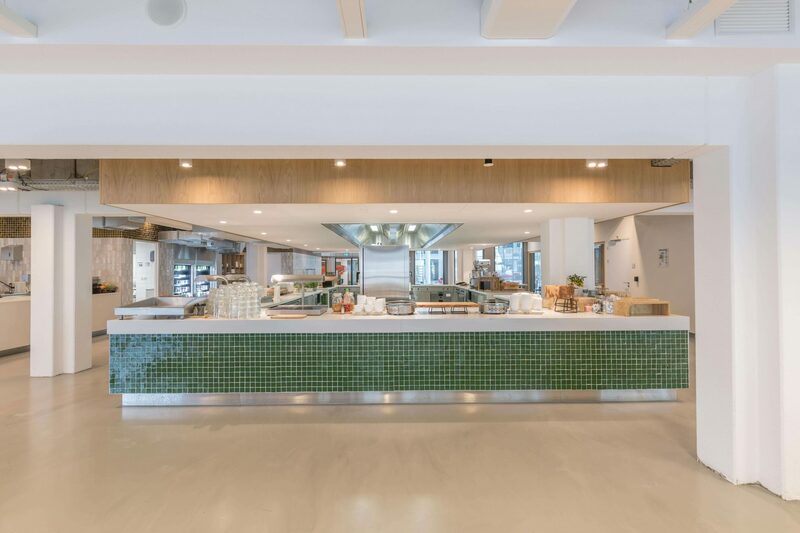 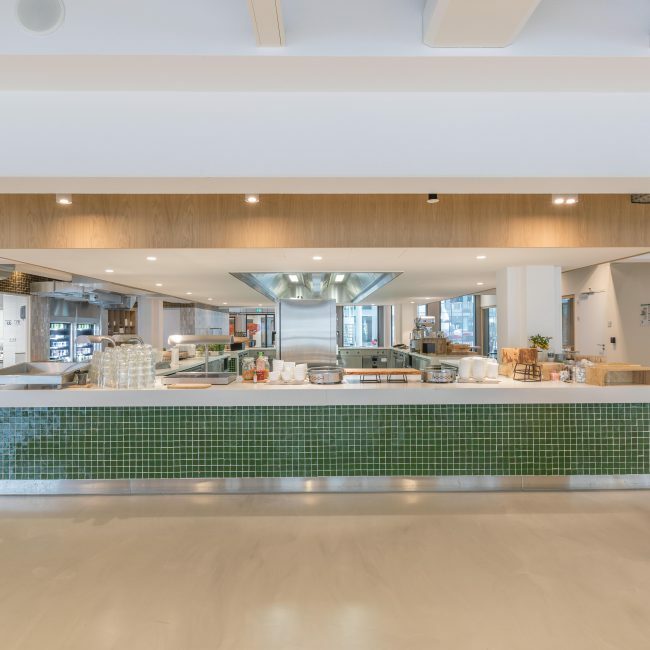 In addition, an internal restaurant has been built for the 530 staff, where breakfast, lunch and dinner are prepared every day. 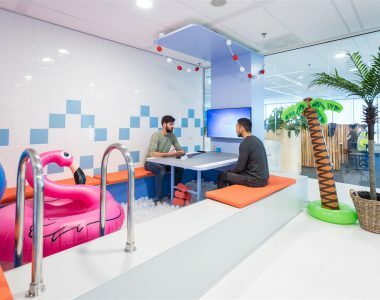 The employees of this company are fully equipped with everything they need in this office.